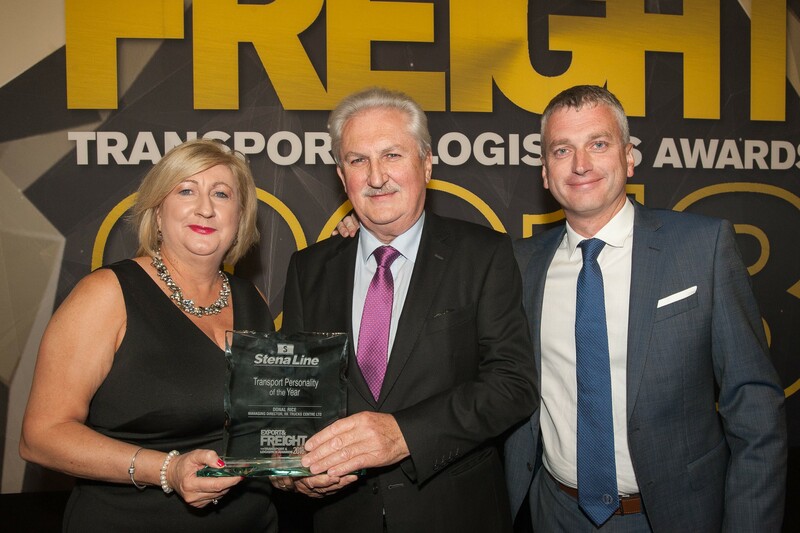 Amid loud and prolonged applause, he was presented with the award by Anna Breen, Stena Line’s Freight Commercial Manager Irish Sea North, at a glittering ceremony at the Waterfront Hall in Belfast which was attended by around 700 guests from all sectors of the transport and logistics industry and compered by BBC NI sports presenter Joel Taggart. Donal’s career began at the age of 14 when smart phones, lap tops and tablets were the things of science fiction, which is why his first duties was as a messenger boy on a bicycle. Serving his time as a mechanic, he then progressed into sales, reaching manager level before going out on his own with franchises from several leading truck manufacturers, and he has never looked back since, making a success of everything he has got involved in. In November 1981 the RK Trucks Centre was born; today it is the sole dealer for MAN Trucks in Northern Ireland, successfully operating from modern and spacious sites in Dungannon and Carryduff.